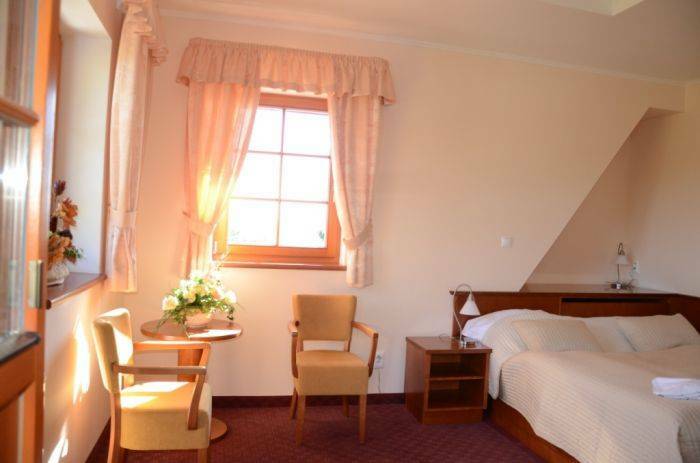 Hotel is located on the outskirts of Karlovy Vary in the Olšová Vrata, 4 km from the historic city center. Drive 1km from the highway E6 , we're going to K. Vary direction of Prague , in turn Olsova Vrata, then the path is marked with directional signs. Municipal bus No. 8, direction airport , bus station Vitkova Hora. Walk after Beethoven trail marked in blue from the parking lot or bus stop KOME The Black Horse line No. 8 . 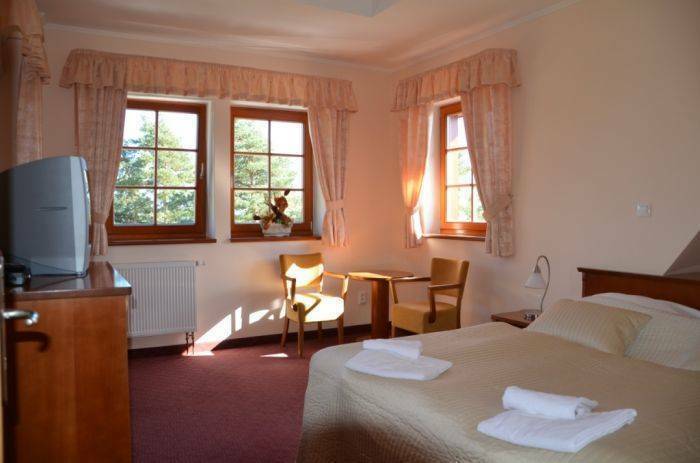 Distance from the Ore Mountains is 25km, arrange a hotel taxi , the nature reserve starts at the hotel. Around the hotel spa trails lead directly into the spa forests are just walking and bike path is possible to visit the tower Diana 547 meters , Goethe's view , the prospect of Charles IV , Aberk 609 meters , seběhnutím to K. Vary you will be offered a range of options: Hot Spring , Thermal springs , public baths , theater , art galleries , museums, racecourse, airport , near Vary attracts attention Loket castle , castle in Bečov , the ruins of Mount Angel, visit Klínovce 1, 244 m or visit Marienbad and Franzensbad. Parking in front of the hotel, garage to order, internet in the rooms, TV, shower or bath, buffet breakfast or continental option to pay by credit card, restaurant 65 guests, focus on the game and fish, terrace to relax and beautiful views of the surroundings of Karlovy Vary AIR club seats 126 guests and offers dance parties, corporate events, training is divided into 3 parts: busines lounge, dance hall and bar, music lounge. There is also possible accommodation in bungalows with bathroom and kitchen for 50 guests or caravan park, set up a tent in the grounds of the volleyball, swimming 1 km in nature, tennis courts. 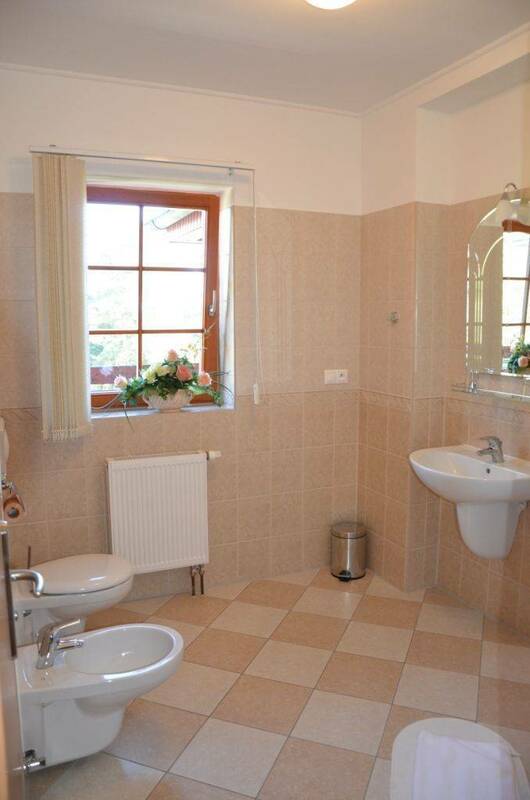 The rooms are equipped with shower or bath, WC, telephone, TV, radio, WI -FI internet. 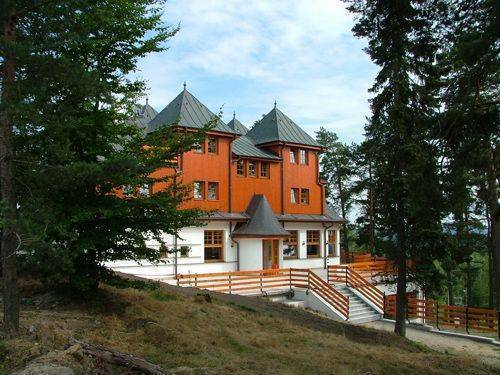 Around the hotel spa trails lead directly into the spa forests are just walking and bike path is possible to visit the tower Diana 547 meters, Goethe's view, the prospect of Charles IV, Aberk 609 meters, seběhnutím to K. Vary you will be offered a range of options: Hot Spring, Thermal springs , public baths, theater, art galleries, museums, racecourse, airport, near Vary attracts attention Loket castle, castle in Bečov, the ruins of Mount Angel, visit Klínovce 1, 244 m or visit Marienbad and Franzensbad. 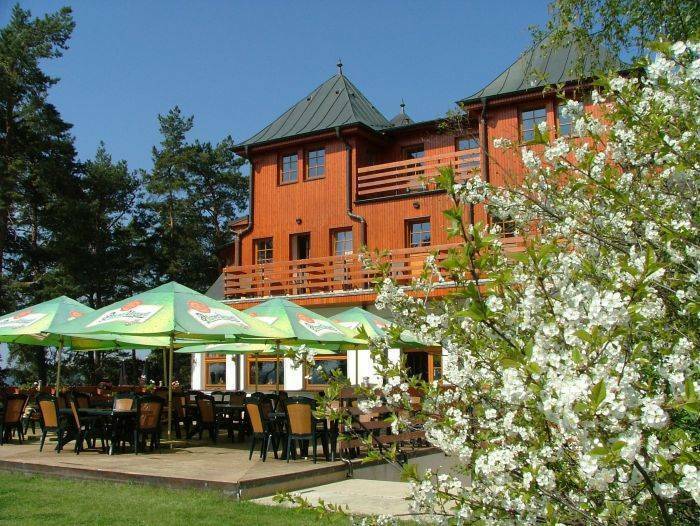 Hotel je umístěn na okraji Karlových Varů v části Olšová Vrata, 4km od historického centra města. Autem 1km od silnice E6, jedeme li z K. Varů směr Praha, odbočíme do Olšových Vrat, dále je cesta značena směrovými tabulemi. Městským autobusem č. 8, směr letiště, zastávka Vítkova hora. 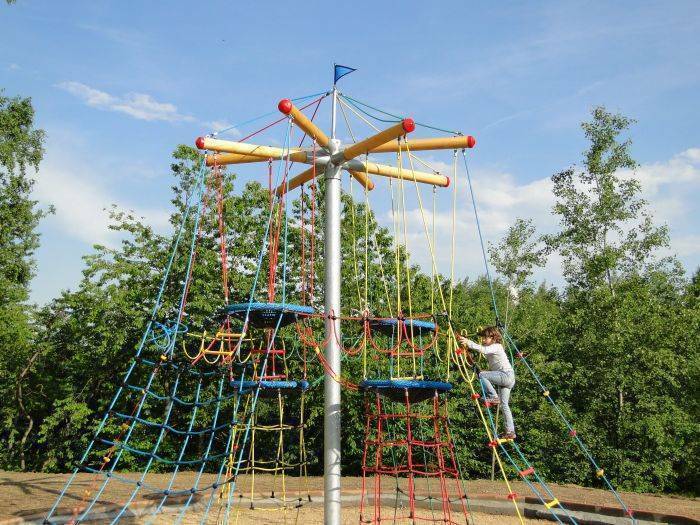 Pěšky po Beethovenově stezce, značené modře od parkoviště KOME nebo zastávky MHD U černého koně linka č. 8. Vzdálenost od centra Krušných hor je 25km, zajistíme hotelovým TAXI, CHKO Slavkovský les začíná u hotelu.